Gokyo Trek or Gokyo Valley trek falls in the Everest region and passes through the heart of Gokyo Valley. The major highlights of Gokyo Trek are the largest glacier in Nepal ‘Ngozumpa Glacier’, a visit to Gokyo Lake, spectacular glimpses of Everest, Lhotse, Cho Oyu and Makalu and the tour of Namche and Lukla, capitals of Sherpa people and culture. 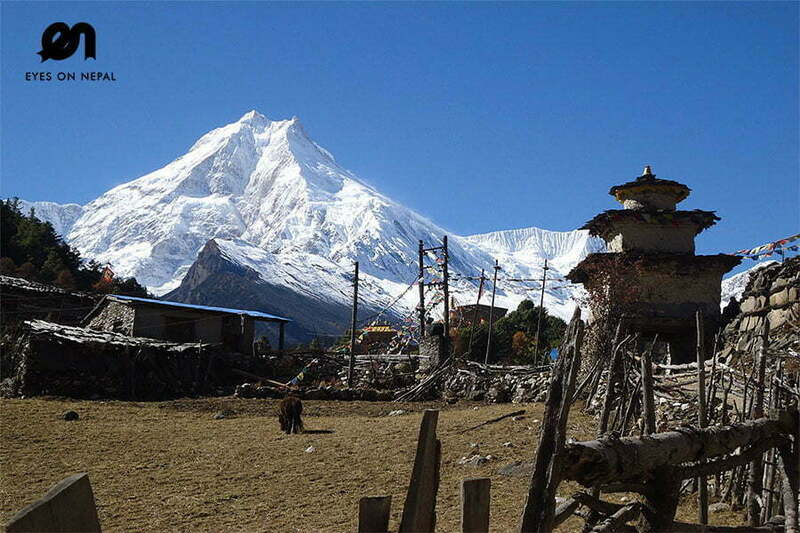 This is a 11 days trek and begins with a scenic mountain flight from Kathmandu to Lukla. You will trek along the Dudhkosi River crossing the villages of Lukla and Phakding and ultimately reaching Namche, the capital of Everest region. After acclimatization you will continue your trek to Gokyo Ri, a peak at 5483m, offering magical views of Everest ranges. 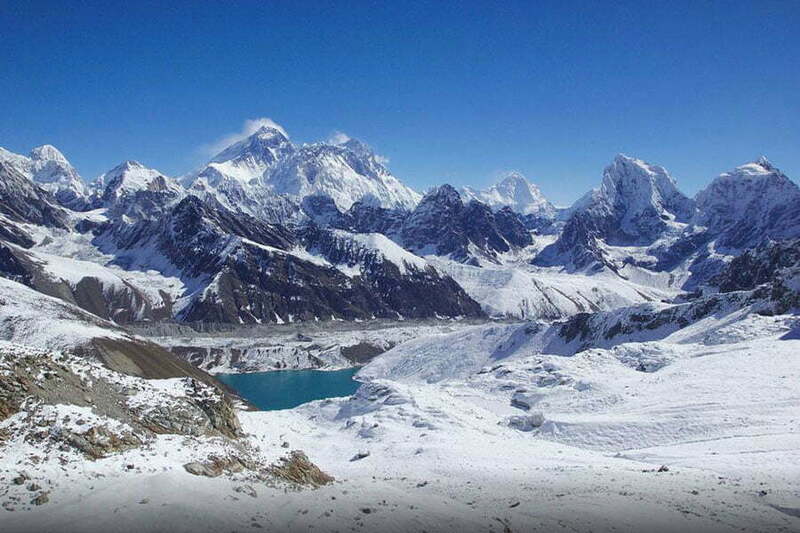 Visit the Ngozumpa Glacier, the largest glacier in Nepal along with a spiritual reconnaissance of Gokyo Lake. You will enjoy the cultural as well as natural beauty of the place. 05.45am: Breakfast at your hotel. 05.30 am: Arrive in Kathmandu’sdomestic airport to catch your flight to Lukla. 8.00 am: Start trek to Chheplung (2660m) for two hour. Note: You will see Kusum Khanguru Peak on right hand sight. 09:30 am: Arrive in Benker(2710m). From Bengkar, you can see the view of Thamserku(6618m) on front right. Continue the trek toMonjo(2840m) for 1 hour. 11.30 am: Start the trek after Lunch to Hilary Bridge() for 40 minutes. 12.10 pm: Hilary bridge and start uphill trek to Namche(3440m). Will test your fitness. of Kongde(on front), Kusumkhan and Thamserku(at back). Overnight in Namche. Back to hotel. Lunch& Dinner in hotel. Note: Every Friday and Saturday, do not forget to visit the local marker fair to shop for goods on cheap price. 08.00am: Check out and start trek to Kyangjuma(3550m). It is gradually up and down trail. You will see the amazing view of Mt. Everest, Nuptse, Lhotse, Ama Dablam and close view of Thamserku. 10.00am: Arrive in kyangjuma(3550m) and continue the trek to Sanasa which is major trail junction to Gokyo valley and Everest Base Camp. 11.00am: Arrive in Sanasa and continue the gradual uphill trek to Mongla pass (3975 m) where you will have god view of Ama Dablam, Thamserku, Tawoche and Mt. Khumbila. Note: Locals regard Mt. Khumbila as sacred mountain. 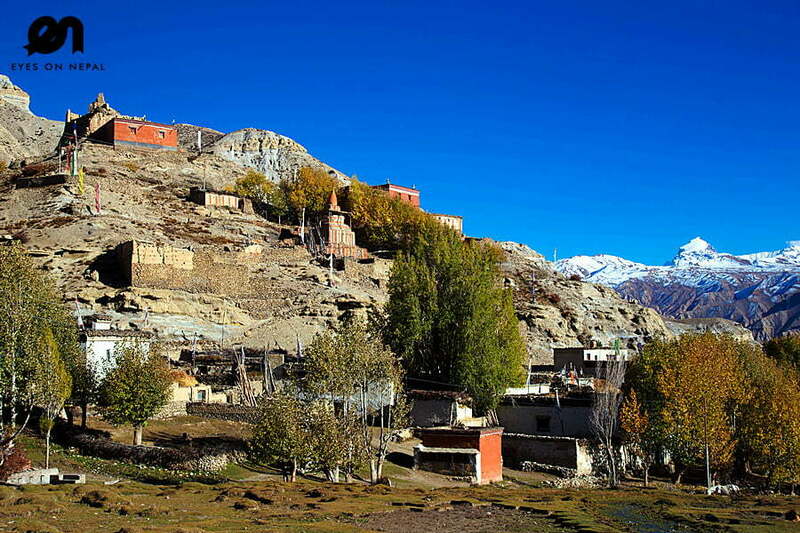 Continue the trek to Phorse Village. We will have lunch break and after lunch we continue our trek to Dudhkoshi River. 01.00pm: Arrive in Dudh Koshi River(3250m), cross the river and start uphill trek to Phortse Village through rhododendron forest. On the way, you may spot wild lives like deer and Himalayan Thar. 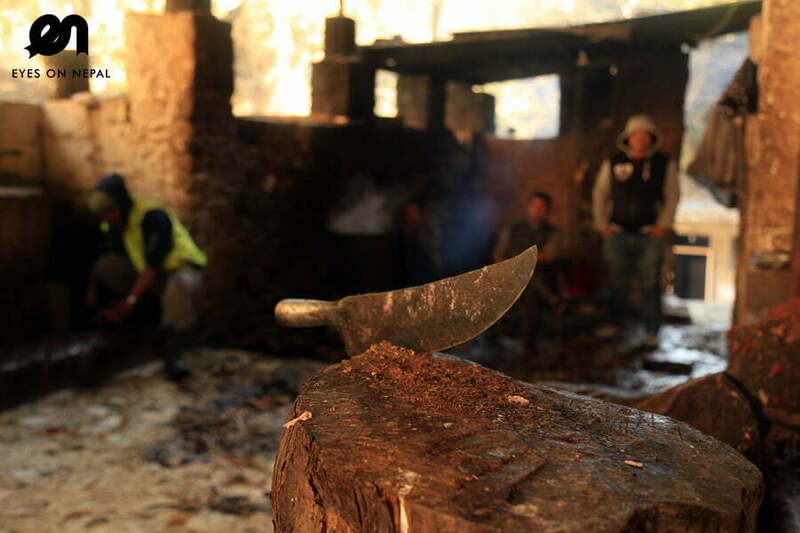 03.00pm: Arrive in Phortse Village. Overnight in Tea House/Guest House in Phortse Village. Note: dinner at the lodge. 08.00am: Start our downhill trek to Dudh Koshi River bridge through rhododendron flower forest. 08.30am: Arrive in Dudhkoshi Bridge and continue the trek to Dole. Note it is uphill trek. 10.00am: Arrive in Dole and continue the trek to Luza(4360m) via Lhabarma(4330m). Note: On the way you will see Cho Oyu, Kantega and Thamserku. 12.00pm: Arrive in Luza(4360m). You will have lunch here. After lunch continue the Trek to Machhermo. 03.00pm: Arrive in Machhermo. We will stay in lodge at Machhermo. It is the last huge human settlement area on the way up to Gokyo. You can visit Himalayan Rescue Hospital for a lession regarding the altitude sickness, its precaution, and primary treatment. Note: Locals believe that they have spotted Yeti (Snow man) on 1974 at Machhermo. 06.30pm: Dinner at the lodge. 08.00am: Start the trek to Pangla(4480m). On the way you will see beautiful valley and Mt. Kangtega, Thamserku, and northern part to the Cho-Oyu (8153m). Note: Phangla is the palace where 40 people killed by an avalanche in 1995. We continue our trek to river bank. 11.00am: Arrive in Riverbank, cross the metal river bridge and touch the Gokyo land. Welcome to Gokyo. After some uphill trek you will face First lake of Gokyo (Longpunga Tso) and continue uphill trek through stony steps to Second lake of Gokyo(Taujung Tso). 01.30pm: Arrive in Thirld Gokyo Lake. Overnight at Local lodge at Gokyo Lake. Note: Lunch and dinner will be at at lodge. Rest and relax. You can make good photographs around Gokyo Lake. Note: optional Trek: You can go up to Gokyo Ri (5360m) or Fifth lake for good sunset view on same day. 11.00am: Arrive in fifth lake of Gokyo(Ngozumba Tso 4998m). 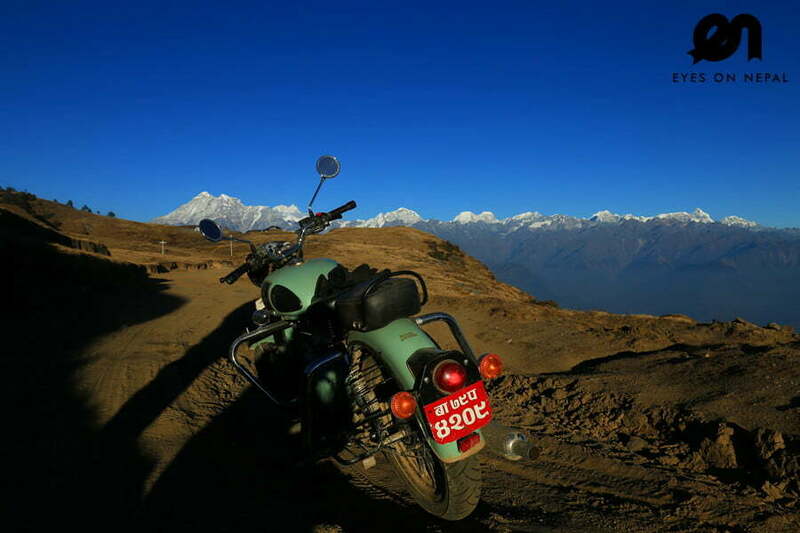 You will see amazing views of North and South slopes of Everest. You will see the trail that extends towards Cho Oyu Base Camp at the fith lake and views of longest Glacier in Nepal called Nogunzpa Glacier. After spending some times by taking some pictures of lake, glacier and Everest, you will return to hotel. 02.00pm: Arrive in Hotel. Lunch and Dinner at the hotel. 07.00am: Arrive at the summit of Gokyo Ri(5357m). You will see the view of Mt. Everest 8848m, Mt Lhotse 8516m, Mt. Cho Oyu 8201m,Mt. Nuptse 7855m, Mt. Pumori 7161m, Mt. Amadablam 6856m, Mt. Thamserku 6723m, Mt. Kantega 6685m, Mt.Kusum Khagaru 6367m,Mt.Kongde 6011m,Mt.Twache peak 6367m, Mt. Cholaste 6335m and little bit of Mt. Makulu . After taking some picture, we trek back to Gokyo lake. 09.30am: Start your trek to Dole (4200m). Note: all downhill Trek. 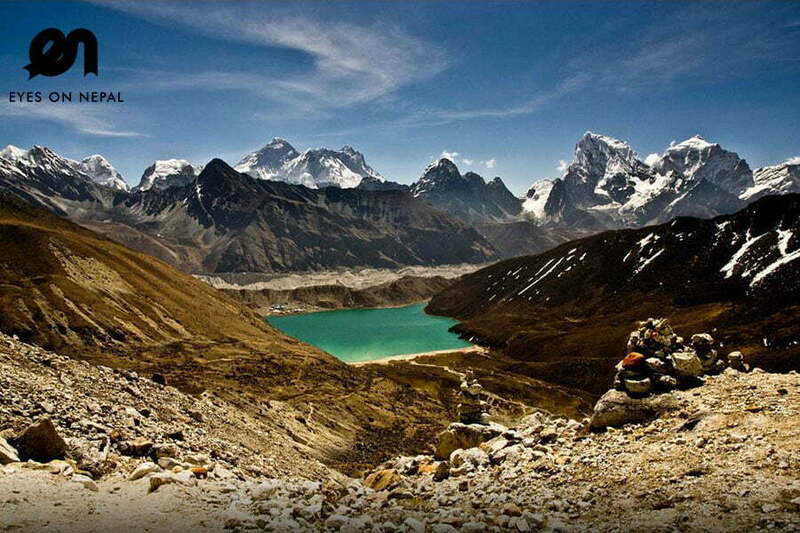 Trek back from Gokyo Valley is an easy downhill for those who have good physical fitness. Trekkers who don’t have walking habit may have muscle pain during down hill trek. You will walk along the dudh Koshi river that originated from Ngozumpa Glacier. After short time, you will pass Second lake and first lake of Gokyo. You will continue your downhill trek to Phangka, machhermo, Luza and lhafarma and finally reach Dole. On way you will see beautiful views of Cholatse, Taboche Peaks, Thamserku, Cho Oyu and Kangtega etc. 02.00pm: Arrive in Dole(4200m). Stay overnight in Dole. 07.00pm: Dinner at the lodge. 8.00am: Start the trek to Namche. Probably you will see the perfect view of Cho Oyu range for the last time. Downhill trek to Namche offers you wildflowers, Rhododendrons, wildlife such as mountain goats, musk deers, Pheasants etc, beautiful waterfalls and some harvesting land and close look of Sherpas life style. 09.00am: Arrive in Tenga(3950m) and continu the trek to Phortse Tenga(3680m)and continue the trek to Mongla. 01.30pm: Arrive in Namche. You will have lunch and dinner at in Hotel. You will have hot shower after long and hard trek. Feeling fresh and happy. You can go to explore the Namche Bazar on free time. 09.30 am: Arrive in hotel, Check in. Breakfast at Hotel. Free and easy all day. 09.30 Pm: Back to hotel. Price Charged from USD 1000.00 per person. Minimum 2 people. For enquiry and booking, write to sales@eyesonnepal.com. For a group of more than 6 person, we will offer a very discount on the price published, please contact us. Price Charged from USD 1400.00 per person. Minimum 2 people. For enquiry and booking, write to sales@eyesonnepal.com. For a group of more than 4 person, we will offer a very discount on the price published, please contact us. Accommodations: 10 nights in the mountains and 1 night accommodation in Kathmandu at Arts Hotel. NOTE: Base on twin sharing and in some of the places you will sleep at hall in Gokyo. It depends upon the touristic season. We will do our best to provide your own room. All land transportation and flight tickets. ** Pick up from your hotel and transfer to Airport on day 1. ** flight tickets to Kathmandu on day 11th. ** Pick up and transfer to hotel on day 11th. 1 trekking guide & 1 porter (maximum 15 kg luggage) will be provided during your treks. Charter flight if cancelled because of the weather or missed the flight because of unexpected reasons. We will reply you with an official quotation with itinerary.If you are okay with our itinerary and quotation, confirm with us in email. documents to prepare the TIMS & Sagarmatha National Park Entry Permit. Scanning copy of your passport on JPEG or PDF format. A passport size photo on JPEG format. 50% deposit will be paid by your side either via Pay Pal or bank in to our Nepal Company account, 50% outstanding will be paid upon pick up. We will issue the official receipt to you once we received the payment. Upon pick up, we will check your trekking gears, and will pass you the TIMS and Sagarmatha National Park entry permit.